On 8 January 2013, RADM P.D. Smith, USN (Ret) visited the Cold War Gallery at the Washington Navy Yard. 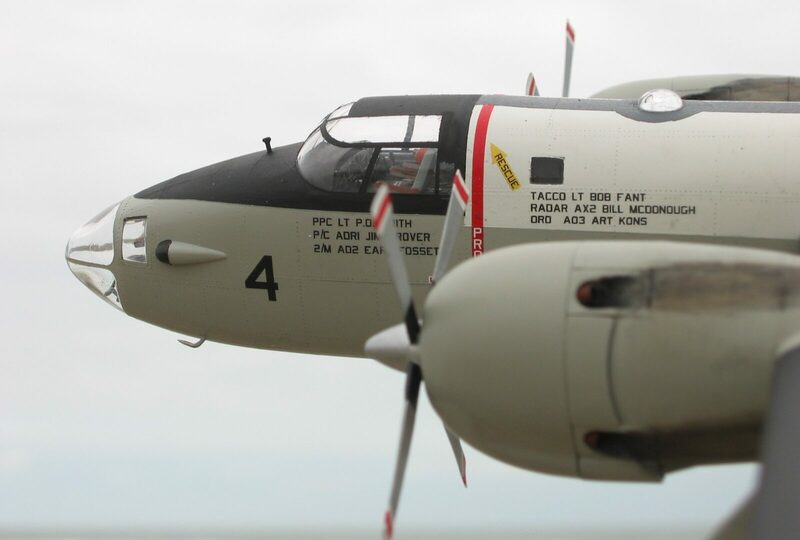 The purpose of the visit was to discuss the layout of a future Maritime Patrol Aircraft exhibit for the Gallery. 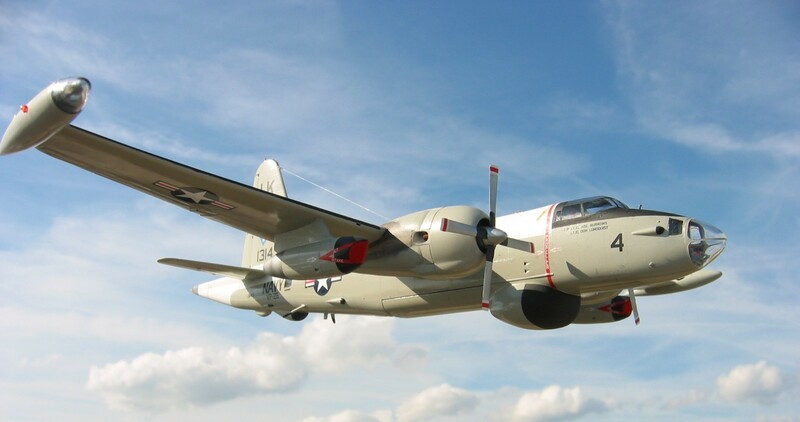 RADM Smith generously donated money for the construction of a Lockheed P2V-5 Neptune model, on display in the Gallery. The model was built by Michael “Pyscho” McLeod, whose meticulous model construction techniques were detailed in this earlier blog story. RADM P.D. 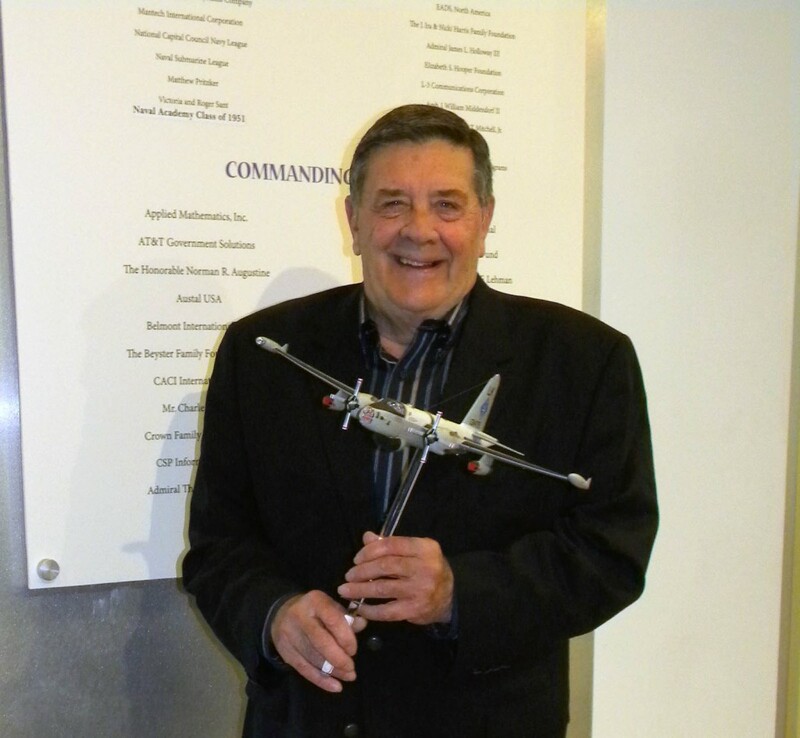 Smith poses with the P2V-5 Neptune model he sponsored for the Cold War Gallery.